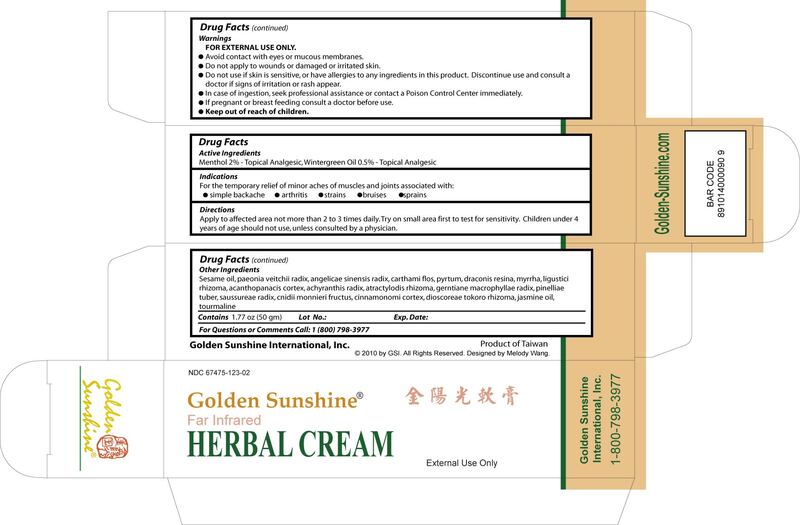 Packager: Golden Sunshine International, Inc.
sensitivity. Children under 4 years of age should not use, unless consulted by a physician. Do not apply to wounds or damaged or irritated skin. Do not use if skin is sensitive, or have allergies to any ingredients in this product. Discontinue use and consult a doctor if signs of irritation or rash appear. In case of ingestion, seek professional assistance or contact a Poison Control Center immediately. If pregnant or breast feeding consult a doctor before use.